A sing song around the old piano. Bush walk through unspoiled bush land. Or just do nothing at all. 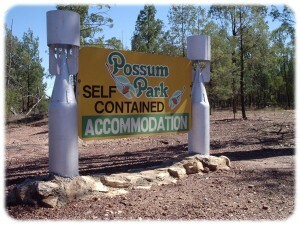 The choice is yours at 'Possum Park'! But 'Possum Park' wasn't always this peaceful or inviting! 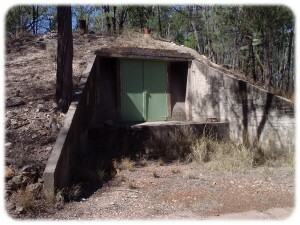 You see, during World War two Possum Park was a 'top secret' place, well guarded by a select group of Australian Airmen! 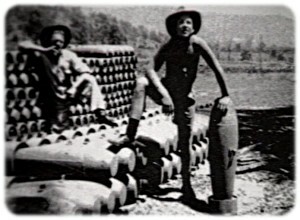 'Possum Park', then called 3CR RAAF Kowguran, was the largest bomb and ammunition dump on the Brisbane Line, our last line of defence in the event of a much-feared Japanese invasion. This depot then held up to two and a half thousand tons of high explosive bombs and ammunition, all hidden in twenty well protected underground bunkers. 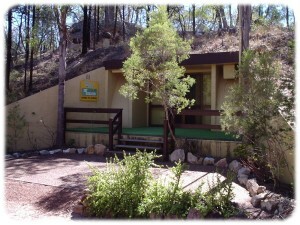 'Possum Park, is now a quiet and peaceful place. The bombs are gone and now the invasion's friendly! 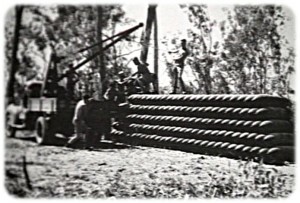 Those bomb bunkers have been developed into truly unique motel style units, and the troop trains that bought 'the boys' and the bombs to 'Kowguran' have been re-fitted as modern self-contained motel style units. From the time of your arrival at 'Possum Park' the owner's, David & Julie have one aim - to treat you to good old fashioned country hospitality. To protect your privacy as paying guests David & Julie discourage casual sightseeing. 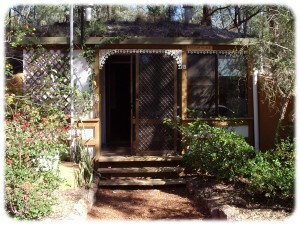 Their aim is to offer you a place that's guaranteed to recharge your batteries. A relaxing, worry free time, above or underground. Its an ideal halfway stopover to the Carnarvon Gorge or Rockhampton and North Queensland, and it's on the preferred route to the 'Hall of Fame' and the Matilda Highway. for video-rich websites, DVD production & touchscreen kiosks.